LA General Contractor & Home Builder Best of Houzz 2013 - 2018! Lauren leads LMDA (Lauren Martin Design Associates) with a combination of intuition, ingenuity and artistic vision. Her focus lies in developing thoughtfully composed minimal environments with diversely styled and layered elements. Each project is an active collaboration with the client, built to suit their needs while telling a distinctive visual story. Lauren’s passion for art history and all things vintage and modern provides the perfect foundation for creating harmonious, artful, timeless spaces. Whether a smartly tailored apartment or a new custom home, LMDA can help turn your ideas into a reality. We are committed to approaching each projects individuality with a sensitivity to the principles of design while incorporating a wide range of styles and unique elements. As a Design-Build Remodeling Contractor, we are committed to helping our clients receive the very best buy for their investment. We give firm, accurate price quotations, with a detailed contract with every job. Our clients know up front exactly what they are getting and what it will cost. As a result, and most importantly, there are no surprises or expensive "add-ons" in the middle of our client's job. If you are looking to build or remodel your dream home, give Tom a call at (310) 514-1733 or click the "contact me" button to send us a message. We look forward to working with you! Green Building by Design, Inc.
We provide quality housing in the Los Angeles area. We do this by using the latest technology, a lifelong immersion in this industry, and a passion for design and construction. We help our clients by providing the complete range of services from conceptual design to complete construction. Rosa has a degree in architecture and has worked in the industry for over 20 years in the Los Angeles area. Mariano is a licensed General Contractor, has a degree in mathematics, specializes in 3D modeling, and has a number of green building and energy efficiency certifications and training. 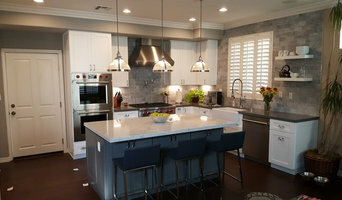 Mark Trotter, Trotter Building Designs, Inc.
Trotter Building Designs, Inc. is an award winning progressive building design firm based in Manhattan Beach California. Established in 1997 by its president and CEO Mark Trotter, AIBD. Mark and his design team have been designing homes in the South Bay for over 20 years. Specializing in residential and commercial design with a design pallet ranging from traditional to contemporary. Each project is developed in response to the unique balance and collaboration between client, government agencies, consultants, developer, budget and site. Mark Trotter is native to southern California holding a professional status with the American Institute of Building Designs (www.aibdca.org) and is a Certified Green Building Professional. Established in 1978, Peninsula Design and Remodeling has flourished into an award winning industry leader. Our foundation is rooted in our people and our commitment to quality, integrity, and responsiveness to the needs of our clients. Through generations of family leadership and over 30 years of experience, Peninsula Design and Remodeling has been synonymous with quality professional construction services. Our relationships with our local sub-contracting community ensure that the most qualified vendors are participating on your project. When building is in your future, we urge you to look at our past. 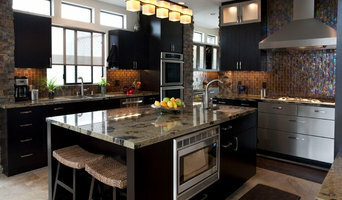 Peninsula Design and Remodeling is the company of choice. Design-build firms take on the responsibilities of architects, contractors and construction companies, all under one roof. These full-service firms focus on a streamlined design-build process — from the initial design to the estimating phase to physical construction — in the hope of creating an efficient experience for both the client and the company. 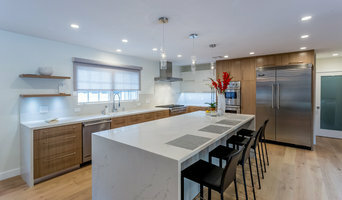 Because the entire project is happening within one company, Hermosa Beach design-build firms are able to overlap the design and construction phases of the project, which often speeds up the project significantly. In addition, these firms work to minimize risks for the project owner through single-point responsibility contracts. However, depending on the firm, you may still want to contact an interior designer or architect to help create the exact look you want. Here are some related professionals and vendors to complement the work of design-build firms: Interior Designers & Decorators, Landscape Architects & Landscape Designers, Architects & Building Designers, Photographers. Before deciding on a residential design-and-build company in Hermosa Beach, CA, think about what you want from your new home. Do you want a large kitchen for entertaining? Do you need several bedrooms for children and guests? Do you want a finished basement for extra space or storage? 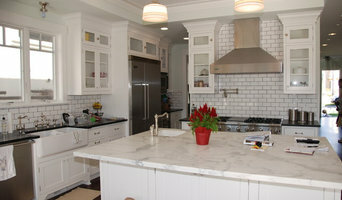 Look for Hermosa Beach design-builders that specialize in the areas you're looking for. Budget is obviously a determining factor in the outcome of your project. To make sure you stay within your means, consider making a must-have list and a wish list. Gauge where the estimates are falling to determine which design-build contract can realistically strike the balance between the two. 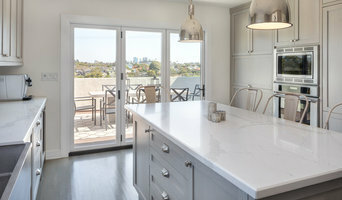 Find a Hermosa Beach design-build company on Houzz. Narrow your search in the Professionals section of the website to design-build firms in Hermosa Beach, CA. You may also look through Hermosa Beach, CA photos to find a pool you like, then contact the design-build firm that created it.